Well, after 20 years and 4.3 million+ sales, it’s fair to say that the strategy behind the Toyota Prius, the world’s original hybrid passenger car, has probably delivered even more than its makers could ever have hoped for back in 1997. Despite a slow start, the Prius’ radical petrol-electric drivetrain has achieved what can only be described as the wholesale normalisation of hybrid cars, to the point where petrol-electric vehicles are now being hailed as the ideal stepping stone towards a full-electric future. Today, the Prius’ unique selling point has become ubiquitous, with almost every manufacturer exploring semi and full-electrification as a way to meet incoming, increasingly stringent emissions regulations. 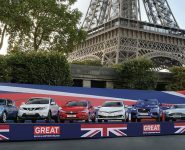 Aside from regular, self-charging ‘full-hybrids’ like the Prius, there are now ‘plug-in hybrids’ that offer longer electric-only range, and ‘mild-hybrids’ which use a 48-volt architecture for more efficient engine stop/start in traffic and ICE-off high-speed sailing on the motorway.So, given that hybrid vehicles have already been on our roads for over 20 years, and will continue to populate the automotive car parc over the next decade, it’s likely you’ll have seen one or more in your shop for service or repair – and if you haven’t, you certainly will soon. This begs the question: are you ready to perform complex diagnoses on one of these vehicles? 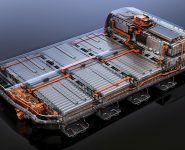 More specifically, just how much do you know about the sensors and controls used in a hybrid or electric drive system? That last question is particularly pertinent given just how important sensors are to the successful operation of a hybrid or electric vehicle. It is crucial that powertrain’s central control unit is able to monitor the status of each electric motor in the vehicle, ensuring the correct delivery and application of torque across the drivetrain. One of the sensors involved in this task is the resolver: a type of rotation angle sensor which determines the exact position, rotational speed and direction of an electric vehicle motor. Variable reluctance resolvers are the type preferred by hybrid and EV manufacturers alike, due to their simplicity and the relative accuracy of the measurements they provide. These complex sensors work using the blended operation of a transformer coil and an inductive speed sensor. So, before diagnosing resolver faults, it is important to understand how these two core components work. Transformer coils use the principles of magnetic induction. 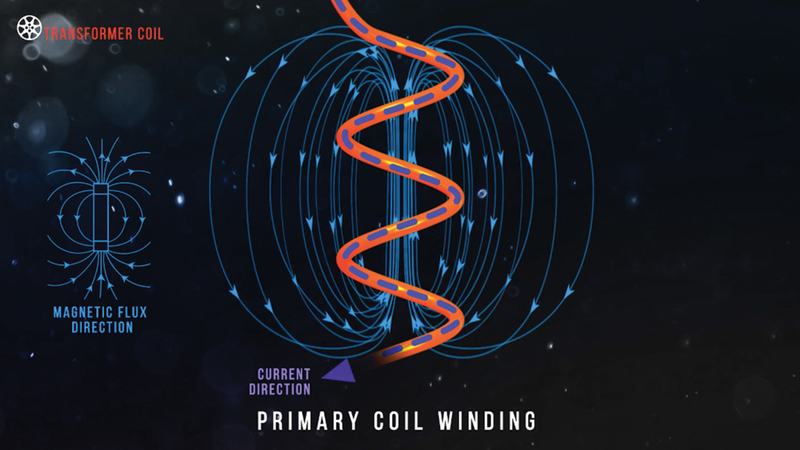 When current flows through a primary coil winding, a magnetic flux is created around the winding – and that flux occurs relative to the current flow. As a result, a change of direction in the current flow of the primary winding causes a direct and proportional change in the magnetic flux. This current flow change is achieved either through the switching on and off of the DC supply voltage, or through the passing of alternating current through the primary coil. In addition, an iron core is used to amplify and concentrate the magnetic flux across a secondary winding. The movement of the flux causes current to be induced in the secondary winding, and this current is proportional to the magnetic field strength. Transformer coils are generally step up types, where the secondary winding is manufactured with more coils than the primary. This means the current flow induced in the secondary winding will reflect the winding ratio. Moving on now to the inductive speed sensors, which are notably of the variable reluctance type. This means they will experience a frequency and amplitude change in relation to rotor speed. 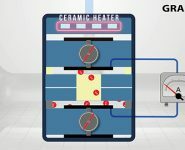 These sensors are constructed with a central permanent magnet, surrounded by an induction winding, which together are referred to as the stator. The stator is positioned so that it has a very small clearance, or air gap, between its pole and the toothed rotor, itself known as a reluctor. When rotating, the air gap between the pole and reluctor changes. As this occurs, the magnetic field from the permanent magnet expands and contracts. Therefore, current is induced in the stator windings relative to the magnetic flux motion, and so the frequency and amplitude will increase or decrease with changes in reluctor speed. 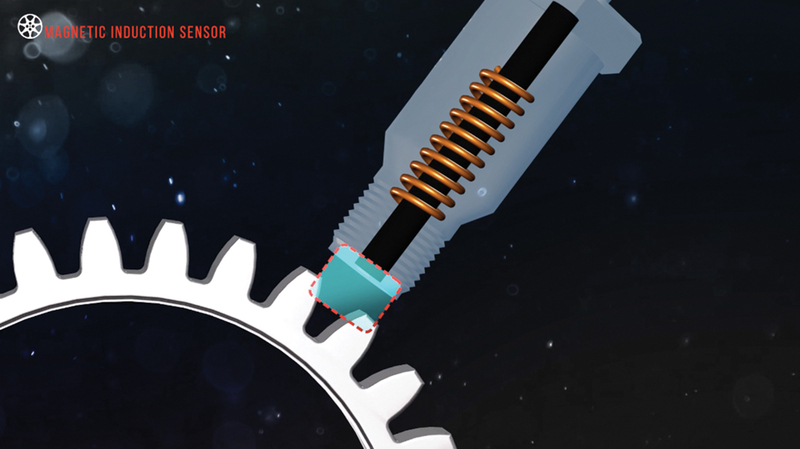 Once you’ve understood the operation of the core resolver components, it’s possible to explore the function of the VR resolver sensor itself. 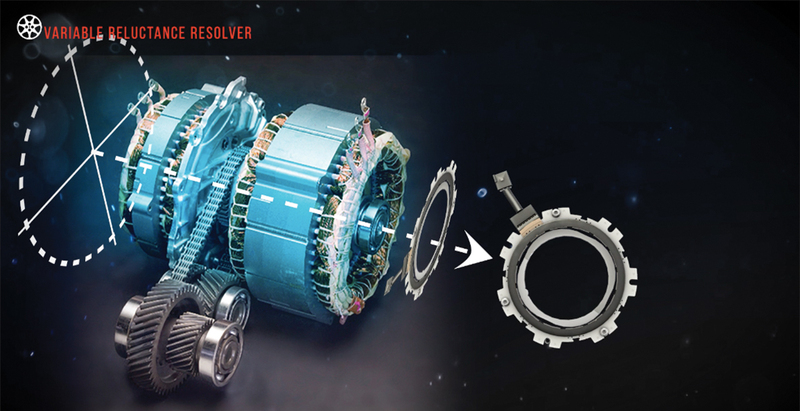 As a rule, you’ll find the VR resolver attached to the rotor shaft of each electric motor, and it’s from here that it’s able to supply critical data about the position, speed and angle of the motor to the central powertrain control module. It does this by providing a unique signal at every point through 360 degrees of rotation, and hence falls into the category of an absolute position sensor. To put it another way, a VR type resolver is essentially a transformer coil with a rotating iron core. It uses a primary winding, known as the exciter or reference coil, and two secondary coils known as sine and cosine. The secondary windings are arranged at 90 degrees to each other and are mounted in a radial stator. The powertrain control module creates a low voltage AC signal, which is directed through the Exciter Coil. Through the principles of induction, the alternating current flowing through the exciter is induced into both secondary coils. Unlike a transformer coil, however, there is no step up or down in the induced current from the exciter to the secondary coils. The elliptical shaped reluctor sensor itself is attached to the motor/generator rotor shaft, and is positioned inside the resolver’s stator assembly. The reluctor will then move with the rotor shaft, and is shaped so that when the low surface is positioned adjacent to the sine coil, the high surface is positioned next to the cosine coil. If we apply the same principles from the magnetic induction sensor, it is possible to observe that by altering the flux, we can cause a change in the amplitude of the cosine and sine coils’ current flow. The high face of the reluctor will affect the magnetic flux from the cosine coil, allowing for peak reluctance to be observed. At the same time this is occurring, the low face of the reluctor is adjacent to the sine coil. As there is a sizeable gap in the reluctor surface, the magnetic flux is affected. The result? 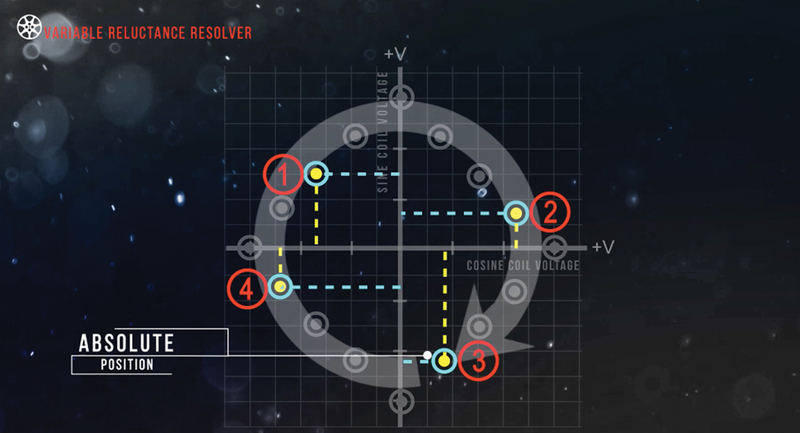 Well, it means that the resolver can precisely measure the angle of the electric motor’s rotor by simply plotting each point of the sine and cosine on a grid. The powertrain control module can then interpret each reference point through 360˚ of rotation and assign an angular position for each. In effect, the resolver provides two voltages whose ratio represents the absolute position of the rotor shaft. By observing the sequence of reference points, the control module can determine both the direction and the speed of the electric motor. 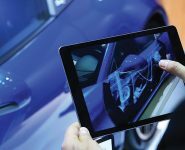 So, with hybrid and electric drivetrains well and truly established in the automotive car parc, it’s crucial to understand how key systems like resolver sensors actually work. Topics like this may seem complex and hard to understand, but there is a solution. By subscribing to AutoMate’s online, automotive training program, technicians receive access to over 400 high quality training videos on a wide-range of automotive topics, including hybrid and electric vehicle diagnostics. The team at Automate Training encourages you to stay ahead of your customer’s needs and invites you to visit www.automatetraining.com for a free 14-day trial.